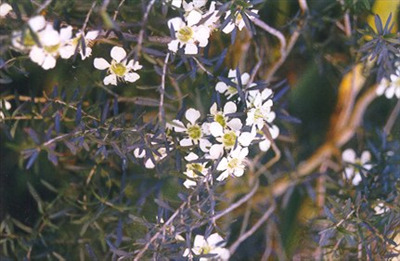 Medium shrub or small tree with fine coppery-red foliage and white flowers in early summer. Hardy to most soils and situations. Excellent small tree for small gardens, some forms having a pendulous appearance. Tolerant of moderate frosts and extended dry periods. Cut flower and foliage. Propagation Information: Seeds germinate readily. No pre-treatments required.